Among this year’s Commit to Knit pattern collection, we have a stunning crochet blanket that features “spiral granny squares”. We have been very excited about learning to make this new style of square but they are a little different to make, so we thought we should pass on the tips we’ve picked up. 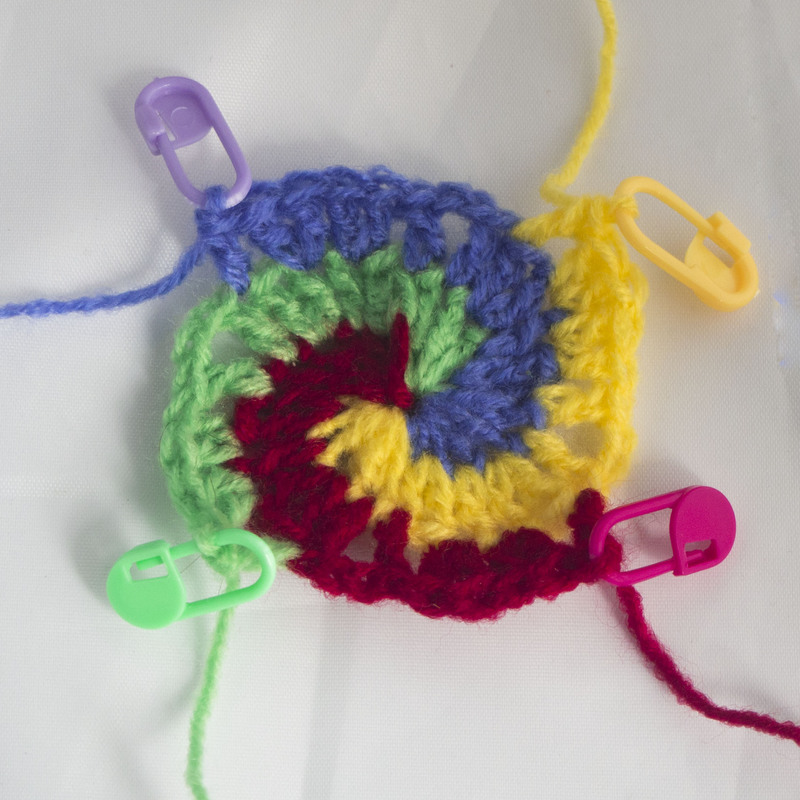 When you are working on the spiral square you will end up with four yarns attached to your crochet piece at once. It is worth winding off small balls of your yarn so they are easier to control. Then you can put your small balls of yarn in a project bag and let them feed out gradually to avoid tangles. Use a notebook to write down the order of colours you are using for each square and tick off each colour for each round to avoid getting confused about where you are in the pattern. From round two you will always be working into stitches of the next colour in the sequence. For example at the start of round two you will make 2tr in yarn A into the dc you worked in yarn B on round one. Lockable stitch markers are essential. You don’t want one colour to unravel as you work the next. I use a different colour marker for each yarn colour. 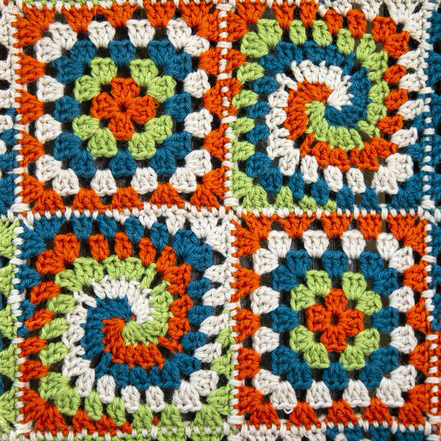 Once you have made a couple of these squares, you will have the hang of them and really enjoy adding them to your crochet repertoire. I really like the look of these and they do look a bit tricky. Will need to sit in a quite corner to try these granny squares.